Washington, Sept. 5 – RespectAbility, a nonprofit organization working to empower people with disabilities to achieve the American dream, has asked Senate candidates on both sides of the aisle to fill out a questionnaire on disability issues. 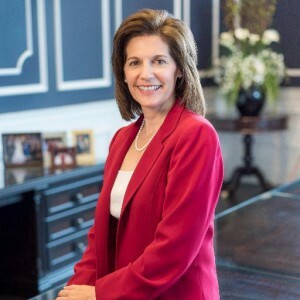 Democrat Catherine Cortez Masto completed the #PwDsVote Disability Campaign Questionnaire for Senate and Gubernatorial Candidates for people with disabilities. Only four out of ten of Nevada‘s 171,600 working-age people with disabilities are employed. This creates poverty, powerlessness, and poor health. People with disabilities want the opportunity to have the dignity that jobs provide. Two employers in Nevada that have provided exemplar models for other businesses to follow in hiring individuals with disabilities are PEPSI and Starbucks. Each of these companies stands as a great example of win-win-win policies that help employers, people with disabilities and taxpayers alike. Today in Nevada, 8,200 youth with disabilities, between the ages of 16 and 20, are preparing to enter the labor market. They have high expectations and deserve the opportunity to achieve the American dream. Young people with disabilities may simply need some thoughtful help to transition into the workforce. RespectAbility also sent the questionnaire to the campaign of Republican Joe Heck, who also is seeking the open Senate seat in Nevada. We are presenting Masto’s answers in full below.